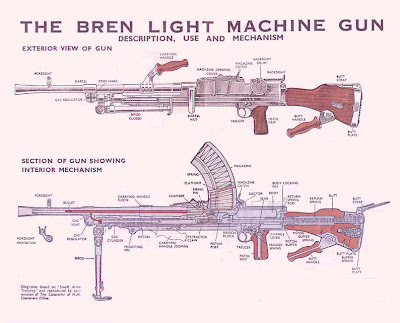 The Bren, usually called the Bren Gun, was a series of light machine guns adopted by Britain in the 1930s and used in various roles until 1991. While best known for its role as the British and Commonwealth forces' primary infantry light machine gun (LMG) in World War II, it was also used in the Korean War and saw service throughout the latter half of the 20th century, including the 1982 Falklands War and the 1991 Gulf War. 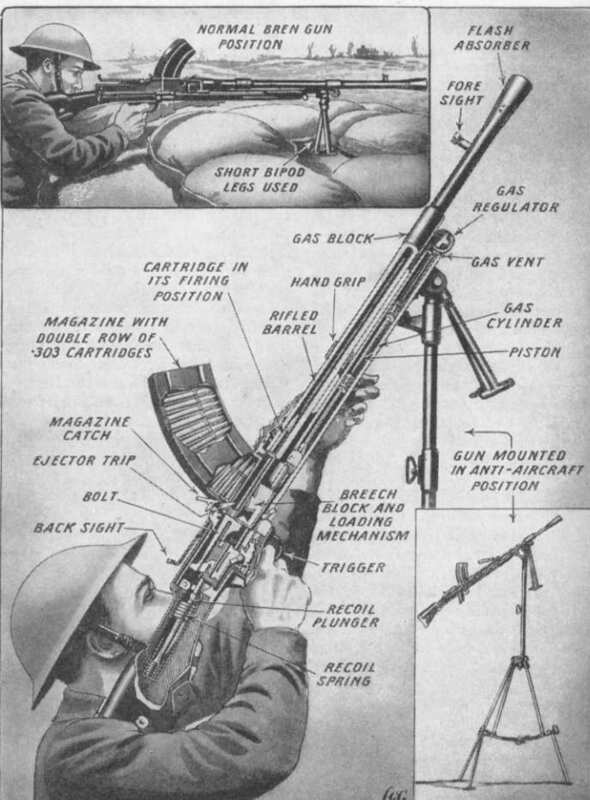 Although fitted with a bipod, it could also be mounted on a tripod or vehicle-mounted. 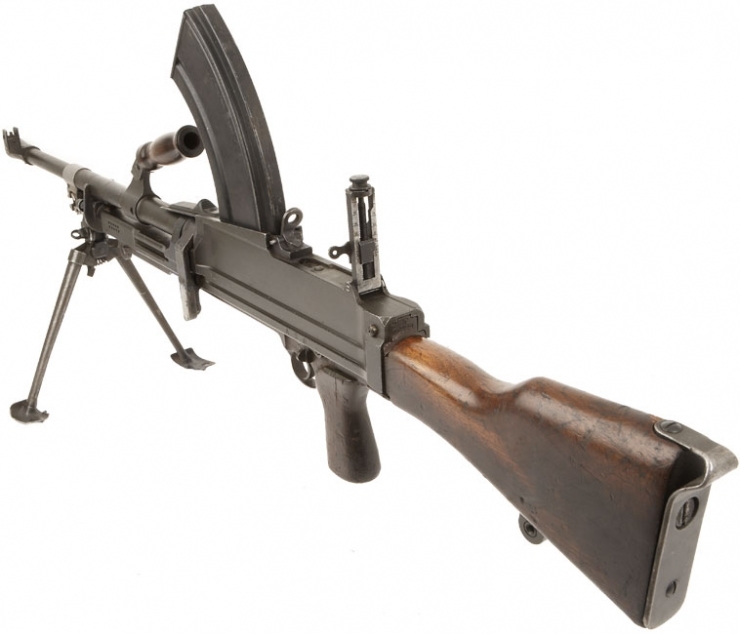 The Bren was a modified version of Czechoslovak-designed light machine guns, the ZB vz. 26 and its descendants, which British Army officials had tested during a firearms service competition in the 1930s. 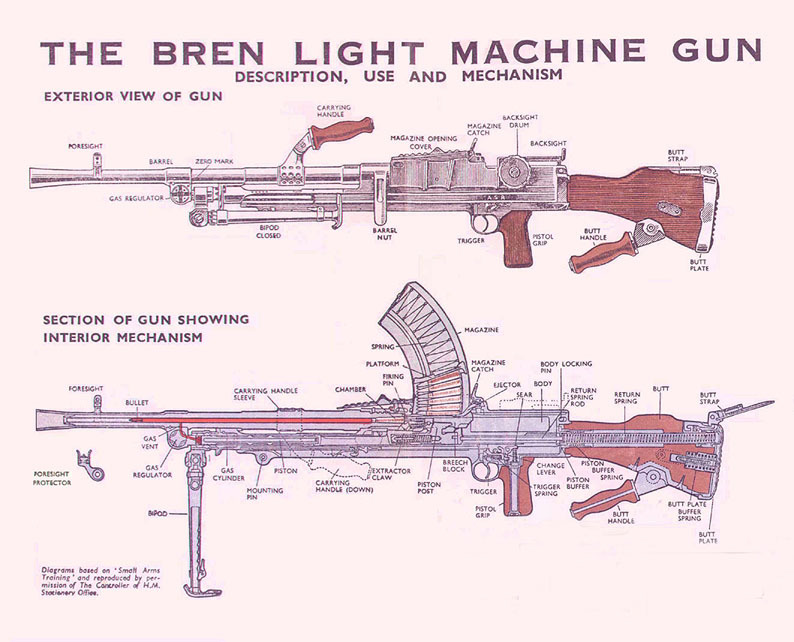 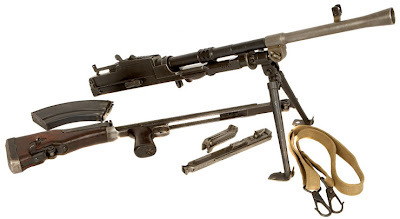 The later Bren featured a distinctive curved box magazine, conical flash hider and quick change barrel. 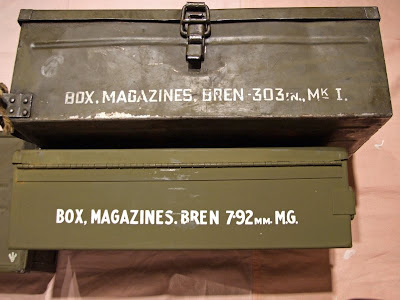 The name Bren was derived from Brno, the Czechoslovak city where the Zb vz. 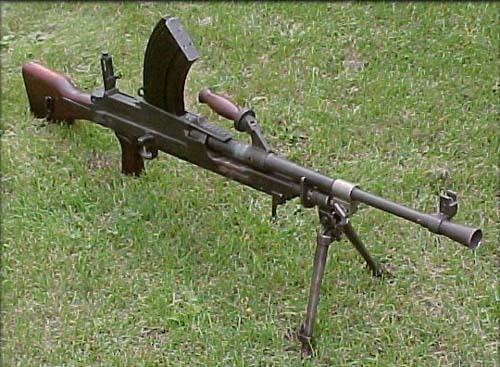 26 was originally designed (in Zbrojovka Brno Factory), and Enfield, site of the British Royal Small Arms Factory. 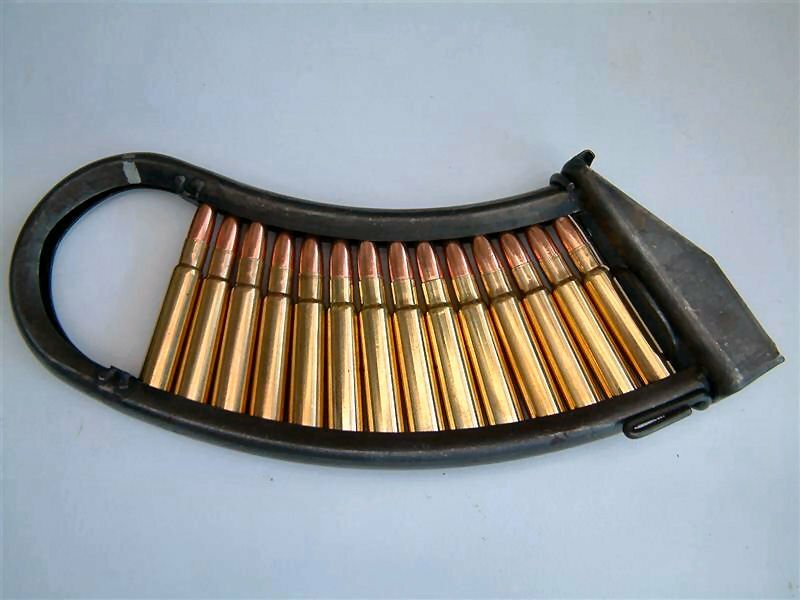 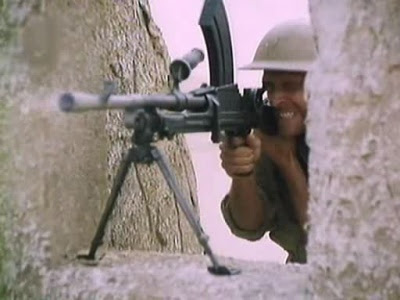 In the 1950s many Brens were rebarrelled to accept the 7.62×51mm NATO cartridge and modified to feed from the magazine for the L1 (Commonwealth version of the FN FAL) rifle as the L4 light machine gun. It was replaced in the British Army as the section LMG by the L7 general-purpose machine gun (GPMG), a heavier belt-fed weapon. 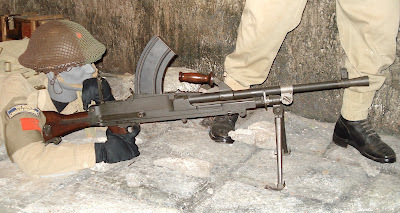 This was in turn supplemented in the 1980s by the L86 Light Support Weapon firing the 5.56×45mm NATO round, leaving the Bren in use only as a pintle mount on some vehicles.